Time Warner Center, Columbus Circle, New York. Architect David Child, 2003. This sharp Late Modern development went up on the then most expensive real-estate in New York, facing Central Park on Columbus Circle. David Child is the architect of the new World Trade Center building on the 9/11 site, he out manouvred Daniel Liebeskind in that venture. 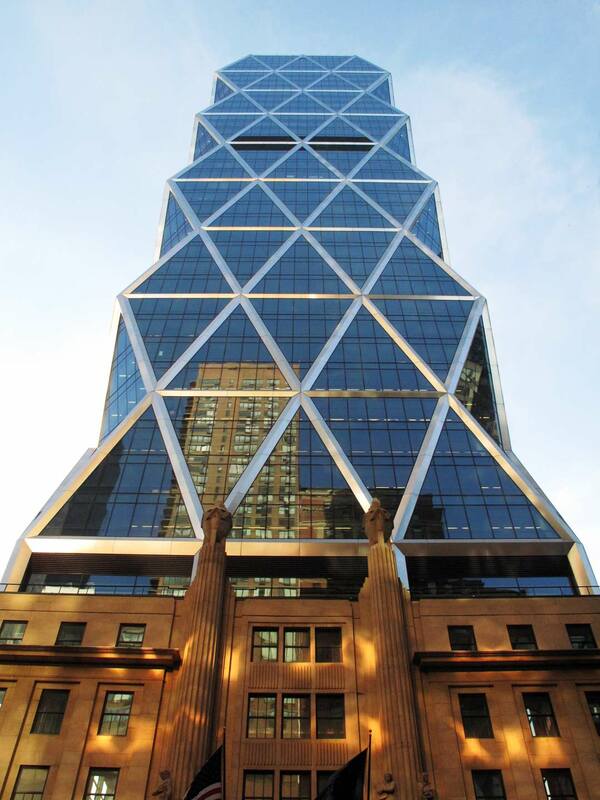 Hearst Tower, Eigth Avenue at 57th St. New York. Architect Norman Foster, 2006. This High-Tech building by one of the Sirs of British architecture rises out of a handsome Art Deco building from the 1930s. This original structure was commissioned by none other than William Randolph Hearst, the fictionalized Citizen Kane, as the headquarters of his dastardly Hearst newspaper conglomerate. It was the Fox News of its day, spreading yellow journalism all over America. The new building is a highly original design which has won prizes for its green credentials. 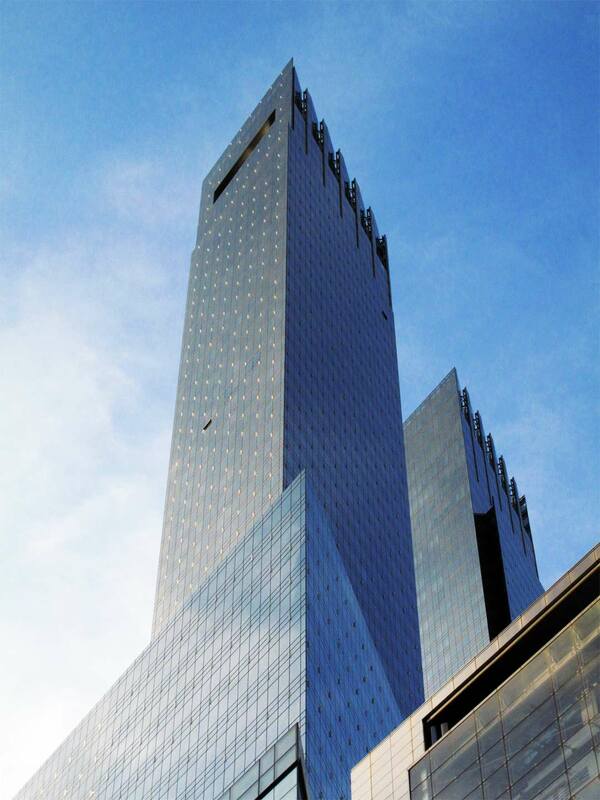 It’s one of the new landmarks on the Manhattan skyline, always glinting in the sun. 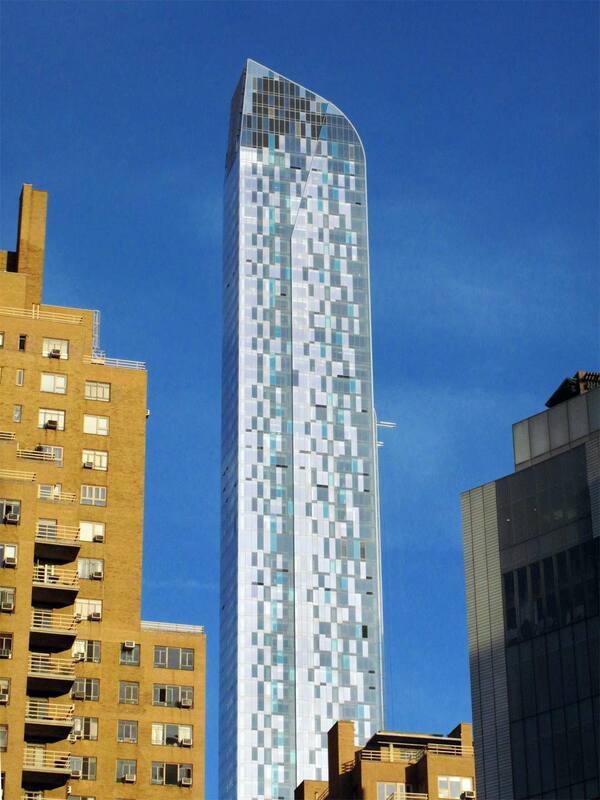 One57, 57th St. New York. Architect Christian de Portzamparc, 2014. This is a luxury condominium that rises high over mid-town and is the tallest apartment building in the world. At the time this picture was taken, the penthouse was sold for $90 million. Tall as it is, another vertical streak about 30% taller is soon to go up a few doors down.